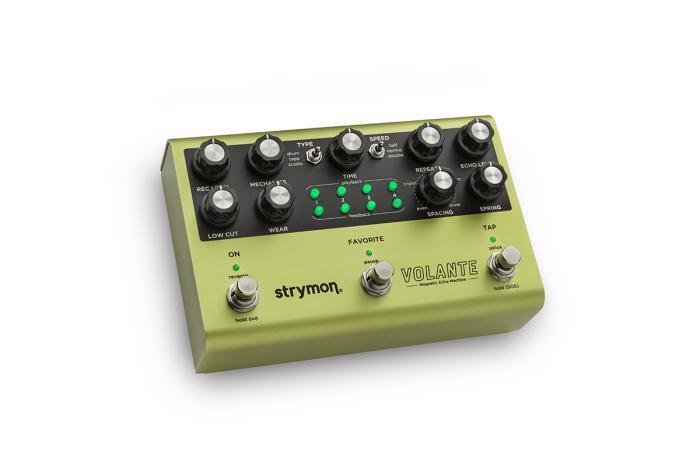 Strymon announced Volante at the 2019 NAMM show in California, and it has stirred up a great deal of excitement among Strymon fans. It is a collection of delays and reverbs bound up in a looper. Volante has three magnetic delay types: tape echo; magnetic drum echo and reel-to-reel studio echo. It is a stereo multi-head delay which has a vintage spring reverb and, of course, a looper function.